Does Danger Lie Up the Road? Accidents happen, with more than six million crashes occurring annually on roads in the United States. 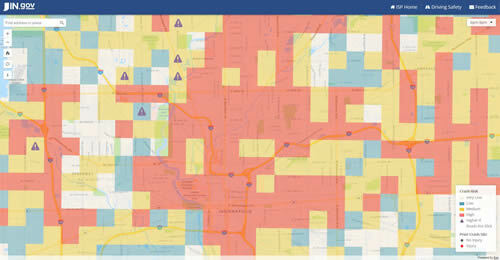 But what if a web app could show you, on a map, where and when the current traffic crash risk is high in your community? Would you change the route you take or be more cautious? That web app is a reality for Indiana residents, who can visit the Daily Crash Prediction Map to find out the accident risk on roads throughout the state for the current day. Read the article and explore the map. The Daily Crash Prediction Map, an app developed for the Indiana State Police, shows where the risk of traffic accidents is high, medium, or low. When you add a map, scene, or layer to your project in ArcGIS Pro, sometimes small red exclamation points (!) will appear. Never fear. 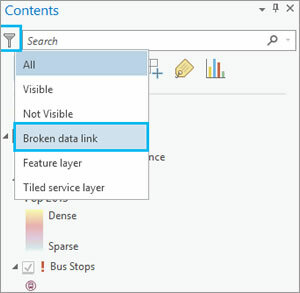 It's easy to fix broken data links in an ArcGIS Pro project. Esri's Hannah Deindorfer shows you how to make the fixes. Read the tip. Esri partner Weather Decision Technologies (WDT) uses advanced GIS to better organize and analyze big data about weather systems that's being collected by satellites and remote-sensing devices. Read the article. 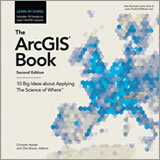 The ArcGIS Book: 10 Big Ideas about Applying The Science of Where, a new book from Esri, gives you the know-how and hands-on experience to use GIS. Read the article. Pinellas County, Florida, uses ArcGIS in many ways, including to provide situational awareness during storms. When Hurricane Hermine struck in 2016, map apps were used to update road closures and monitor the location of downed trees. Watch the video. During the 2017 Esri Petroleum GIS Conference, Esri's Elvis Takow demonstrated how to use Insights for ArcGIS to explore and analyze drilling permit data for the Permian Basin. Watch the demonstration. Brady Hustad, president of Argis Solutions, talks about the role augmented reality (AR) can play with your GIS data. "I'm loving that we are starting to embrace the better visualizations—the better ways of telling a story," he said. Watch the video. Sensor data collected by the US Navy's unmanned vehicles will be visualized and analyzed using Esri technology, improving operational intelligence. Read the article at naval-technology.com. Learn how to build location into your apps during the tech sessions at the Esri Developer Summit Europe, which returns to Berlin, Germany, in October 2017. Learn more. You can now visualize data in 3D as you plan and test what-if scenarios using GeoPlanner for ArcGIS. For example, you can now see how shadows are cast by buildings and extrude data by values other than height. You can also view key performance indicators (KPIs) in 3D. Read the blog. Learn more about GeoPlanner for ArcGIS. This tutorial walks you through how to modify the symbology of bus routes and stops and population density. Watch the 2-minute video tutorial. Take the 30-minute tutorial. Esri's Suzanne Boden offers some excellent tips and tricks on how to use Excel data for your ArcGIS Pro projects. Read the blog. Esri staff demonstrate how to use ArcGIS GeoEvent Server to incorporate real-time data streams into ArcGIS and visualize and analyze that information. Watch the tech session. Learn more. This dashboard maps the average speed of traffic, live traffic cameras, and the location of accidents that caused injuries and deaths of pedestrians, cyclists, and motorists in New York City. View the map. The Clemson Center for Geospatial Technologies created an innovative Esri Story Maps app of Clemson University, also known as Tigertown. The app includes a library book finder and maps of bus routes and places to eat. View the story map. 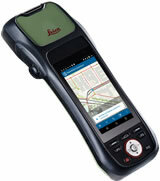 Combined with the latest release of Esri's Collector for ArcGIS, ZenoCollector from Leica is an all-in-one, high-accuracy data collection solution. Order today. If your organization is working to tackle issues, such as ending poverty and clearing land mines and unexploded ordnance, tune in to the new webinar series The Science of Where for Sustainable Development. Learn more and register. Watch the first webinar in the series. Esri staff present a technical session on how GIS fits into virtual reality (VR) and augmented reality. They also demonstrate the new ArcGIS 360 mobile VR app. The app was created to explore different urban planning designs. Watch the technical session.